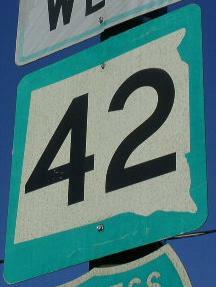 South Dakota State Route 42 is a east-west highway in Southeastern South Dakota. This runs parellel and south of Interstate 90. Info on SD St Rt 42 is broken down by county below.